We’d love your help. 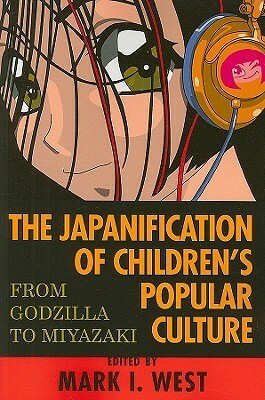 Let us know what’s wrong with this preview of The Japanification of Children's Popular Culture by Mark I. West. To ask other readers questions about The Japanification of Children's Popular Culture, please sign up. With the exception of three half-decent entries, this entire collection is an embarrassment to the analytical essay. A big collection of essays in a VERY overpriced book (something like fifty bucks). I bought it to do some reading for my class on Japan and World Cinema, but most of the essays were not very useful for my purpose, and many seemed pretty weak--weak writing, weak analysis, weak research. Writers can't even be bothered to look up basic information about the works they are writing about sometimes. One of the essays is just a non-stop snark-fest meant for humor, I guess.